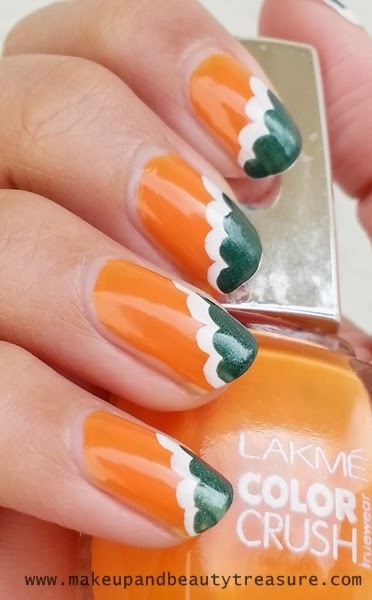 I am doing my Republic Day nail art in advance. I really do not get time to do blogging on Sunday or say I like enjoying with my family on weekends. Tomorrow I would be going out with my boy *blush* so would not be able to post on blog. 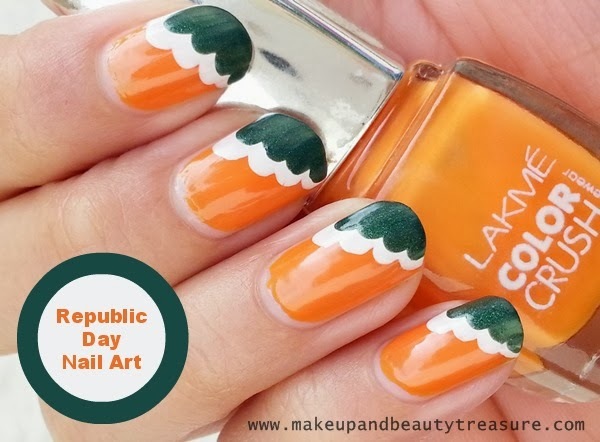 Today I am going to show you Republic Day Nail Art. 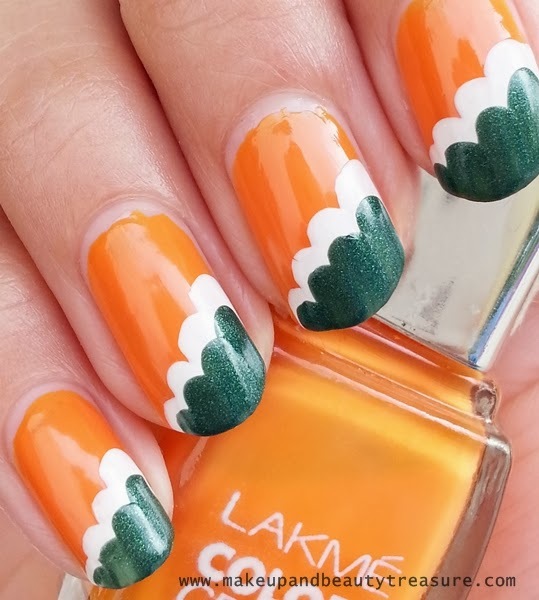 You simply need three colors to create this pretty cloud manicure. Sorry guys I skipped the tutorial part as I did it hurry. If you want me to do one, then do let me know! It is my first attempt to create a cloud manicure and it came out really well. I got so many compliments on my nail art *happy dance*. 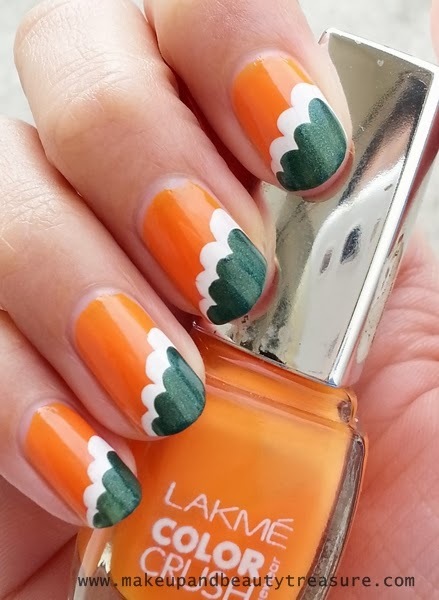 You need to use nail polishes with thin brushes to get a perfect stroke. 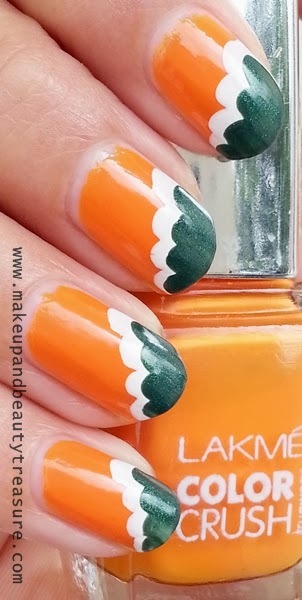 Even if the brush of the nail paint is flat hold it in 90 degree angle and use the side of the brush to get the desired stroke. It is very easy to do and takes less time. You do not need to use any tool to create cloud manicure. Happy Republic Day in Advance! Jai Hind!